Missouri ranks in the top 10 of U.S. states for commercial trucks with bad brakes and dangerous tires. The federal government monitors commercial truck safety though what is known as the CSA program, which stands for “Compliance, Safety, Accountability.” The goal of the program is to identify unsafe truck drivers tractor-trailers and, most importantly, unsafe interstate truck carriers before they cause catastrophic crashes. They are identified through roadside inspections, previous truck crash reports and investigations conducted by the government. Based on one aspect of this program – roadside inspections – trucks in Missouri are very dangerous compared to other states in the country. A recent report in Overdrive, a truck industry publication, reveals that the Show-Me Sate had the second highest percentage of trucks with bad brakes and ninth highest percentage of trucks with worn and balding tires. The statistics come from the federal government’s reporting of its 2017 CSA program results, which are the most recent. Roadside inspections are just one element in how the federal government measures the safety of trucks and truck drivers. The Federal Motor Carrier Safety Administration’s ranks truck company safety with a total of seven different standards, called the Behavior Analysis and Safety Improvement Categories (BASICs). These categories also represent the leading cause of catastrophic truck crashes. The first is the unsafe driving records of truck drivers. Federal officials monitor truck driver histories to uncover documented instances of unsafe driving, which include speeding, reckless driving and improper lane changes made by truck drivers. 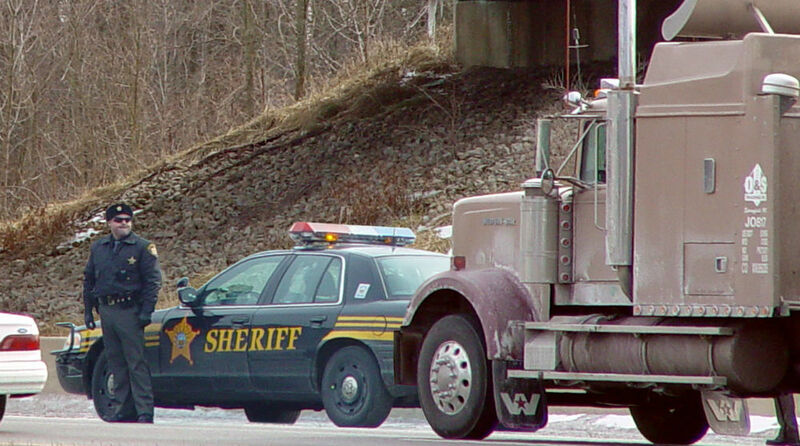 The more unsafe the truck driver, the more likely he or she is to be involved in a crash. So another BASICs category is the crash histories of truck drivers. One specific unsafe truck driver behavior is driving while fatigued. The hours a trucker spends on the road can take their toll physically. Yet most over-the-road truck drivers are paid by the mile, which can mean long hours with no stops to maximize pay. To combat this, the federal government has rules in place that limit how long truckers can be on the road. Drivers are required to keep their driving and rest period hours. So in the federal government’s review of truck carriers, compliance with this Hours-of-Service rules is another of the BASICs safety measurements. Truck drivers who are drunk or drug-impaired and hauling thousands of pounds of cargo pose obvious dangers. The feds examine truck driver crash reports for drug or alcohol as a cause and include prior positive test results for drugs or alcohol use as part of its safety review. Trucks hauling hazardous materials have specific safety regulations. Those found not in compliance run afoul of the BASICs program. And truck drivers must be fit to drive, the remaining BASICs category. This includes ensuring the trucker has the proper driver’s license and is medically cleared for the road. Missouri has more than its fair share of trucks with unsafe brakes and tires. When it comes to causes for catastrophic truck accidents, unfortunately, defective equipment is one of many. If you had a family member die in a crash with a commercial truck, turn to an experienced truck accident attorney to identify all the reasons it occurred. The choice of a lawyer is an important decision that should not be based solely on advertisements.